Welcome To The Maryland Injury Attorney Blog! Greetings from Maryland, and welcome to our Maryland Injury Attorney Blog! My name is Jeff Butschky, and I will be your host and (hopefully) your source of practical help and information from within the Maryland Legal Community. Perhaps nothing affects an individual or family more than a sudden accident or injury — whether due to a motor vehicle accident, a work-related accident, or some other unforeseen incident. When we are hurt, we understand that there will be hospitals and doctors, pain, stress and inconvenience. What isn’t often appreciated is the fact that the injured person must also now deal with (gulp) lawyers and (even worse) the insurance industry. Like visiting the dentist, filing taxes or other mild forms of torture, no one wants to do this, and I don’t blame you. This blog will untangle and demystify the frustrating and complicated world of injury claims. 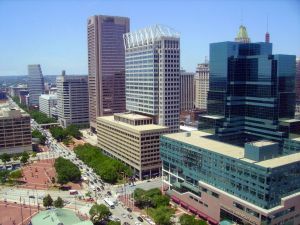 As a practicing attorney in Baltimore County, Maryland, for more than 20 years, I’m going to do my best to make this as easy as I can. So let’s get started!